SHREVEPORT, LA — R. Owen Williams, president of the Associated Colleges of the South (ACS), has announced that the organization has received $2.7 million in funding from the Andrew W. Mellon Foundation to support a five-year faculty advancement program. 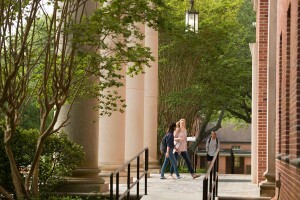 Centenary is one of 16 member schools in the ACS, a consortium of nationally recognized liberal arts colleges that includes Davidson, Washington & Lee, and Rhodes. The grant will enable the ACS to provide significant financial support for faculty innovation at its 16 member colleges and universities, including Centenary. Funding will be available for projects in three areas: innovative instruction, collaborative curriculum, and inclusive teaching. The new programs developed will promote collaboration among the ACS institutions. The ACS consortium of 16 nationally recognized liberal arts colleges spreads across 12 states extending from Virginia to Texas and represents approximately 3,000 faculty and 30,000 undergraduates.